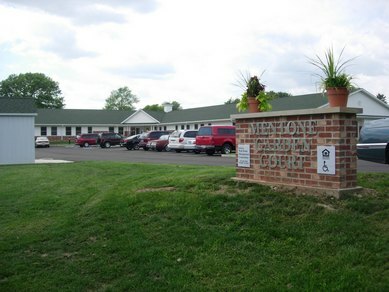 Easterday Construction Co., Inc. completed construction of the Mentone Garden Court in Mentone, Indiana in 2008. It is a 21 unit facility located at 201 North Walnut Street on the west side of Mentone. This is the fifth Garden Court project that we have completed. We had an entry with some pictures of the open house in our blog last year. You can find that entry here. The web information shows that they are open today from 1:00 to 5:00. I have also forwarded your email address to my contact with Bradley Company. They manage the property. Good luck! It looks like a nice place to live!